Every other day we listen to people saying world has become Global village. You can call from one place to another place within number of seconds. Distances don’t matter anymore. Play store offers us number of applications of voice and video calling. But they are rejected by users because of problems like unclear voice, voice break out, high call rates, call drops and many more. People usually don’t want to spent high amount on these Applications. But you don’t need to worry now. We are going to introduce Global call application which has made international calling very easy, reliable and fast at same times. Moreover it offers the lowest calls rates of $0.03 per minute. So you can enjoy more talk in fewer amounts. Global call uses VOIP (voice over internet protocol) It enables you to connect with your friend, family and relatives all across the world over 3G and Wi-Fi both. To start with Global Call you have to enter your country name and phone number. A verification code will be send to your phone. Just enter it into the application where it says for verification code and start using Global Call. 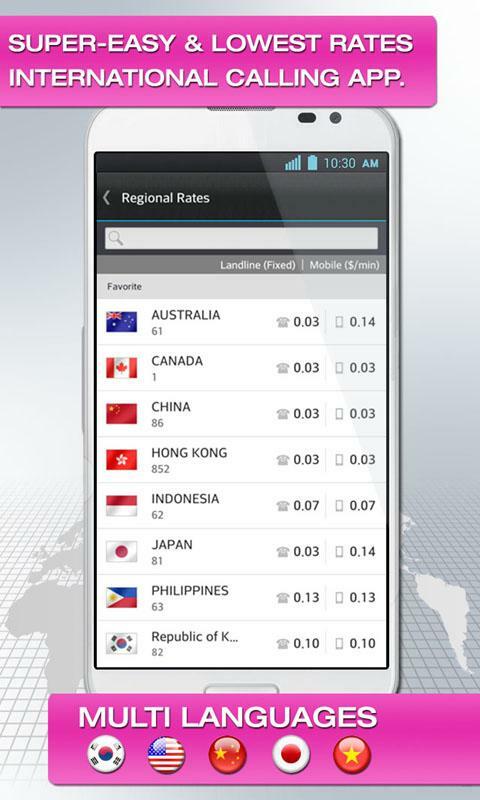 To give best calling facilities to its users Global Call has number of unique features. Following are some of its attractive features. Let’s have a look on the. The most important thing that users required for international calls is crystal clear voice with no interruption and connection problem. Call drop and unclear voice is very irritating indeed. Global Call uses VOIP technology to ensure crystal clear voice. Here is good news for the people who don’t use internet connection of good quality. 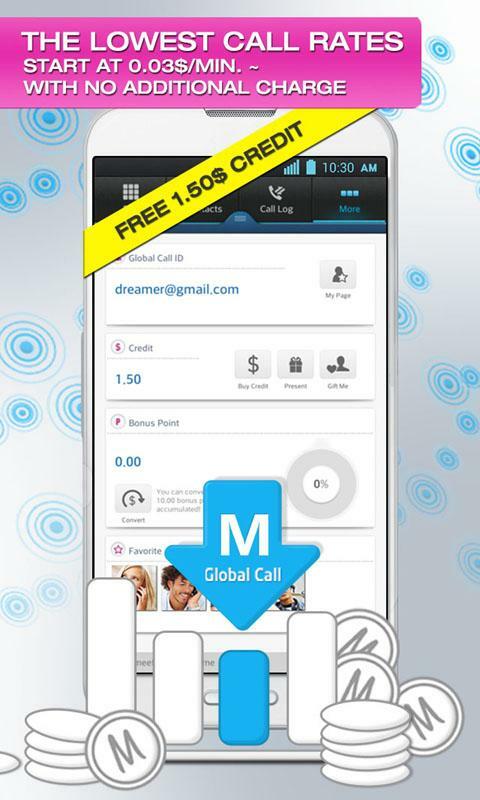 Global call does not charge for lasting less than 6 seconds. Internationals calls are quite expensive as we already know that. But here is the good news for the people who hesitate in spending money on internationals calls. 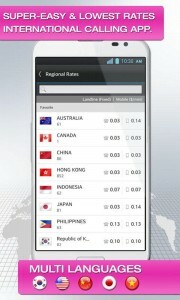 Global Call- Skype Alternative will give best possible low rates of $ 0.03 per minute with no additional call rates. You can also check regional rates before calling. It is very easy, fast and reliable. Sending and receive credit was not that easy before. You can share your credit with your friends and family across the globe and similarly you can receive credits from your friends as a gift. The best thing about this App is, it is super easy to use without any complexity. Its features are amazing but very easy to use. You can start calling immediately after downloading app into your phone. It also has phone directory so may add your personal contacts into it. You can add credits from app to your phone directly. Moreover you can use prepaid system to make calls on landline and mobile numbers all across the world. Another amazing feature of this app includes that it supports 6 different languages. English, Korean, Chinese, Japanese, Vietnamese and Indonesian. The customer service is always there to help you out. Currently people using this app do not have any kind of problem regarding it. You can also download it from the link given below. Download it now to enjoy it’s amazing features.